I start with organic seeds. Some of the sunflower seeds I grow myself so I do know what was used for fertilizer. I do not want toxic chemicals of any sort in the ground or on any seed. 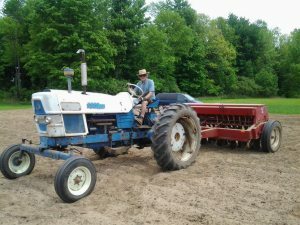 I do the ploughing, cultivating, planting and seeding. Sunflowers need to be rotated so that pests do not carry over for one year to the next. 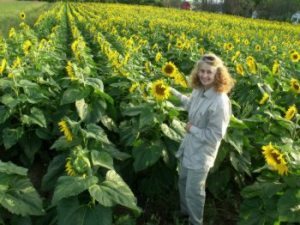 The soil is tested and then organically certifed amendments are added to fill the requirements of growing sunflowers. 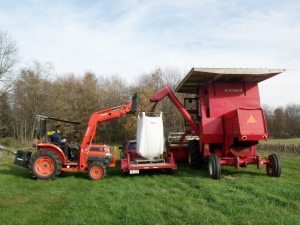 Once the field has been plowed and cultivated many times to discourage weeds the seed is planted while the weather is warm with some rain in the next few days. As the Sunflower seeds come up the cultivation starts, again to discourage weeds. 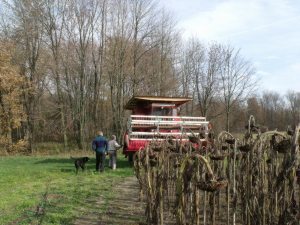 It is cultivated as many times as one can before the sunflowers grow too tall to pass under the tractor. 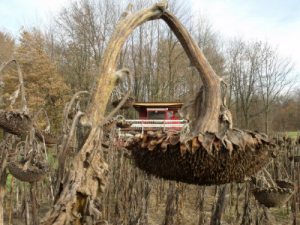 Finally the Sunflower heads appear and follow the sun each day as it crosses the sky then turns brown and we are ready for harvest. And Finally the day to Combine the sunflower seeds. And yes we have a particularly interesting combine in that it has a roof... and thats a long story! 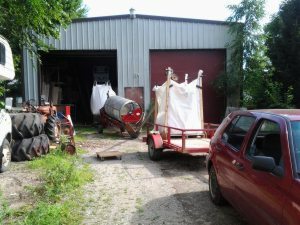 Unloading the combine to a Tote bag. 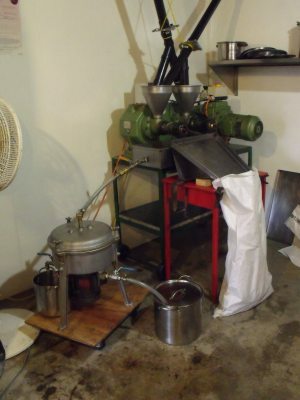 The seeds are pressed. 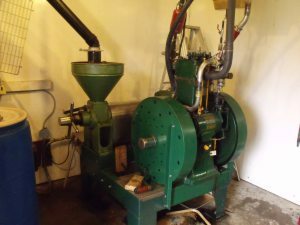 We have three presses two capable of pressing 20 liters of oil an hour and the Komet press which does about 5 liters a hour. 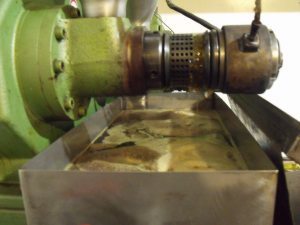 The oil is cleaned with the centrifuge for small quanitites. The oil produced this way is usually cloudy if done in cold weather. 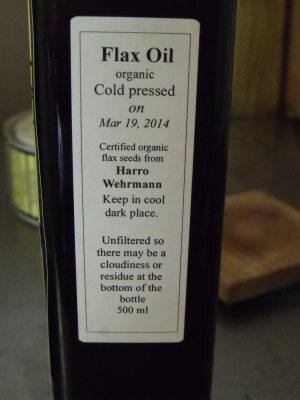 A residue on the bottom of the bottle indicates that the oil is not refined and adds to the nutritional value. When using the oil for salads shake the bottle. 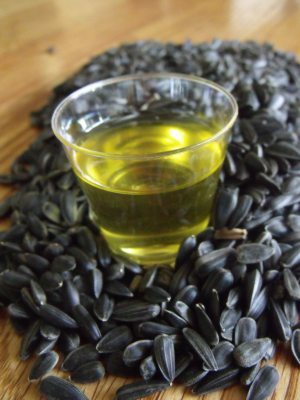 When using the sunflower for light frying do not shake the bottle and use the oil with out the fines. 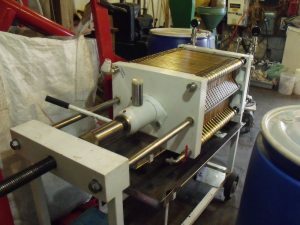 If we are presssing a larger quantity of oil we use the filterpress which makes the oil very clean. The label shows the date the oil was pressed, who grew the seeds and where it comes from.